As an advisor with 1847Financial, Michael Hartman works with his clients to help create retirement income solutions for individuals and families who are concerned about the possibility of running out of money in retirement. Mike specializes in working with pre-retiree’s (typically 10 years or less away from retirement), who have been diligent savers throughout their working years, are looking for a trusted advisor, and who understand the value of having expert financial guidance when developing their income plan in retirement. As a member of the “millennial” generation, Mike and his team also spend a significant amount of their time working with their fellow young professionals, helping them tackle financial planning topics such as budgeting, paying down student debt, planning and paying for the cost of a child’s college education, and much more. Mike obtained his Bachelor’s degree in Finance from Shippensburg University. Since joining the financial services industry in 2010, Mike has earned the CERTIFIED FINANCIAL PLANNER™ and Retirement Income Certified Professional (RICP®) designations. 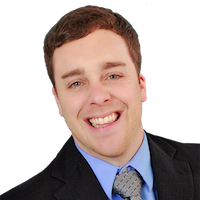 In 2017, Mike was named a “Rising Star” by the Greater Philadelphia Chapter of the National Association of Insurance and Financial Advisors (NAIFA). Mike and his wife, Alicia, reside in Sinking Spring. They have two pets, Tunie and Lilly. Mike stays active volunteering within the community, and participates in many different sports. He also enjoys spending his free time with family and friends.